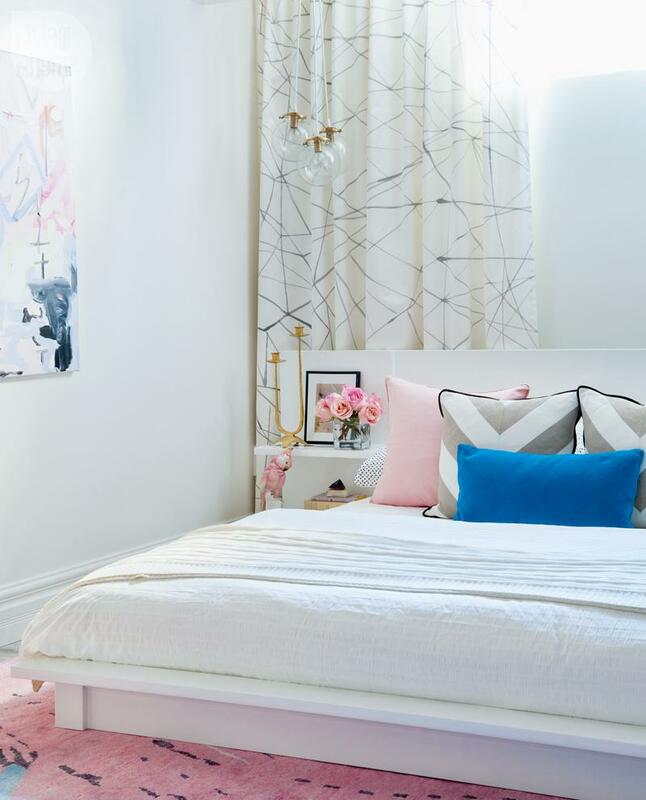 I love a good reno, and this space is truly a stunner. Basements can feel dark and small if not done properly and this one couldn't be a better example of what to do when renovating your basement. Seriously folks, pay attention! Bright open spaces, pops of gold glam, fabulous artwork, STUNNING lighting throughout (seriously, look closely in some of the photos, the lighting is beautiful) and eclectic styling make this for one of my favourite spaces I've seen in Style At Home for a while! Us ladies were thrilled to receive our leather Leah Lerner clutches this week - it was like Christmas came early! I chose the stunning distressed grey, Sarah chose beautiful bold yellow and Kali, went for the contemporary graphic black and white. With a background in accessory design working for Kate Spade and American Eagle, it's no wonder her bags are amazing! Check them out here (bonus- she's having a sale! ), and know this isn't the last you'll be seeing these beauties on our site! PS check out her giveaway too! I'm always on the lookout for cool art prints, and when I came across this one on One King's Lane, I knew I'd found something fab. 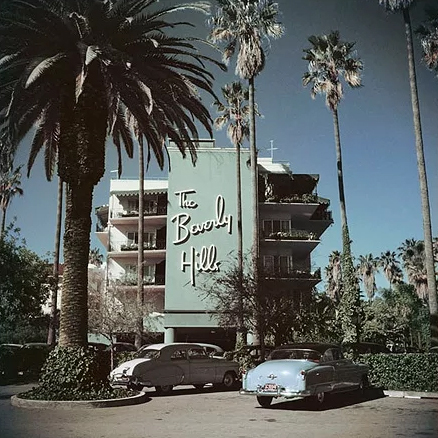 Slim Aarons took this picture of the iconic Sunset Boulevard hotel in 1957 and the colours couldn't be more perfect if you ask me. I love the overall vibe, the palm trees, and I honestly can't get enough of those cars! This would be a fabulous holiday gift for someone, and if you're really going to go all out, there are a few more prints here (1, 2) - hello, gallery wall! I still haven't had a drink since Alice was born - not because I don't want to, but because life hasn't exactly been about going out to dinners and events quite yet. But when I do get that first sip, I want it to make up for 41 plus weeks of abstinence and good behaviour! I came across this holiday cocktail list and I'm pretty sure any one of these would do just fine! Keep this page handy for all of your holiday entertaining. Calling all NERDS! Do you love NOVA, TED talks, Jeopardy and generally think learning is fun? Welcome to Nerd Nite my friends! Hosted in the citadel, local know it alls share their expertise while you sit back, relax and enjoy an adult beverage or two. Next NN YEG Jan 21!